Welcome to Šibenik, welcome to Vodice, welcome to Zlarin! Wherever you find yourself, you chose to be in one of the most attractive places on the Croatian coastline. A half-day sea kayaking tour in Šibenik’s archipelago, one of the most island-dense areas in Mediterranean, will take you to a journey through a history, nature beauty, crystal clear Adriatic sea, and a daily life of local people. Island hopping tour is designed for those of you who want to have a whole day away from masses and want to explore the best of Šibenik’s archipelago. Whether you have been traveling across Europe and currently you are in Croatia, or you are exploring Croatia, this 3-days escape from a crowd and busy places will give you an introspection of a daily life on Dalmatian coast, it will give you an idea of Mediterranean as it once was! A bit of everything it’s all you can expect, so get ready for a moderate blend of sea kayaking, history, UNESCO heritage site, inventions, crystal clear water, corals, and, of course, Dalmatian cuisine. Exploring new cultures and destinations most likely goes with being away from the masses. Driven by adventure, history, and nature, Peak and Paddle Croatia designed this tour for you to show you the extraordinary places of mid Dalmatian coast throughout five days. Prepare all your senses for an intentional blend of active vacation, a journey through millenniums of rough history, visit of UNESCO heritage sites, beautiful nature and crystal clear waters, and Croatian cuisine, to make this experience complete, for you! Welcome to the island of Zlarin, a home of corals and one of few islands in Croatia with no-car policy. You will be accommodate in hotel Koralj, small, private run hotel that blends into the experience of Mediterranean as it once was. The area of the tour is the most island dense area in Croatia and proximity of the coast provides diverse natural beauty mixed with a spirit of centuries old settlements where every single street speaks story for itself. Let’s start the journey! An active vacation considers a variety of activities but also a variety of meals, history, relaxation, swimming etc. Click here to view the full trip Itinerary. Welcome to Croatia, an Adriatic paradise whose coastline is adorned with 1,264 islands, rocks, and reefs. With a rich culture and fascinating history, Croatia offers even more than meets the eye; Croatia will amaze you with its immense natural beauty, living traditions, and exceptional food. Together, we will go sea kayaking, explore UNESCO World Heritage Sites, and delight our taste buds with new flavors and cuisines. Sea kayaking on the Adriatic is a unique experience! The mild Mediterranean climate, the smell of the pines, and the refreshing salt spray as you paddle on crystalline water will refresh your mind, body, and soul. We chose Šibenik’s archipelago for this tour because it is uniquely situated to show you the best of Croatia. Here the mountains transition into one of the most island-dense areas in the whole Mediterranean, as the rush of a still-inhabited medieval town gives way to the peace of deserted islands. Click here to learn more about our Sea Kayak Rental Packages and Pricing. 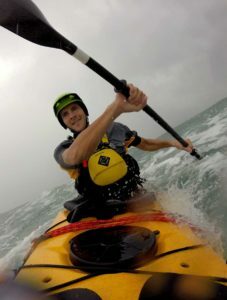 Click here to learn more about our Sea Kayaking Classes.